I did a new install of Antergos 19.1 KDE and selected the LTS kernel during the installation process. Later i tried to boot with the LTS kernel and nothing works, only black screen with cursor on top left corner is flashing, i waited 3-4 minutes and nothing. I tried again 2 times and same thing. The system only works on kernel 4.20.6 by default. which desktop are you on ? if gnome or kde, try to change the display manager to gdm for gnome or sddm for kde ? I use KDE so i applied your suggestion and installed SDDM and the LTS kernel still not booting. I don’t know what other information i could bring except the system does’nt boot on the LTS kernel when chosen from the GRUB menu. 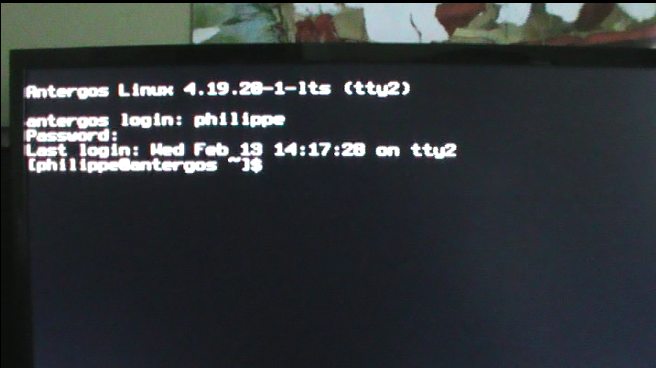 It only boot successfuly from the default 4.20.6 kernel. So i did like you told me, i tried to boot first at 7:59am with LTS kernel (failed again) and then i booted with the default (4.20.7) kernel at 8:00am wich succeeded. If you boot with the LTS kernel and the screen gets blank, can you then press key combination Ctrl-Alt-F2 and get to the console where (command line) login is possible? Yes i did and i enter my user name and then my password, but after the screen was still blank! If you can boot that way, then you can also give journalctl -b0 command and show the result here via e.g. pastebin. Seems that lightdm is not starting correctly. I already tried SDDM and the result is the same, boot with LTS kernel fails. See my comment above about SDDM. Ringo32 gave me this suggestion! Wat is the hardware video-kaart & drivers are you using ? This should show if any packages are missing.